Calling all Gears! 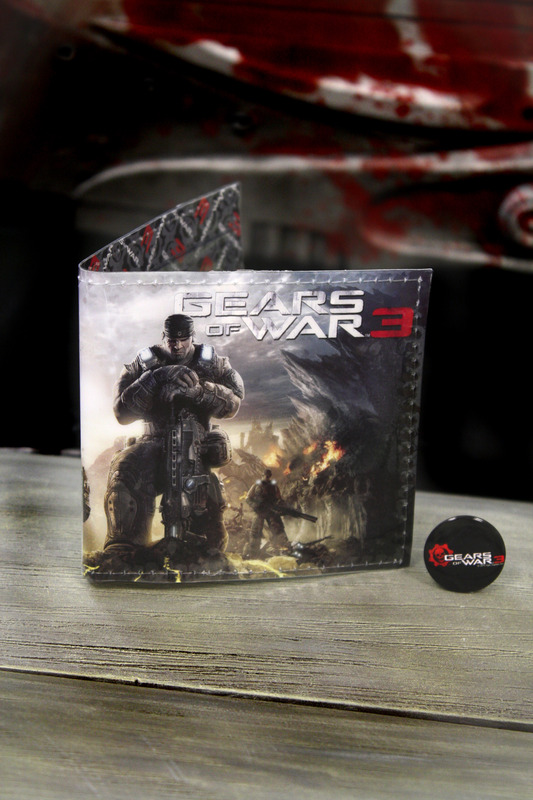 This vinyl bi-fold wallet features wraparound art from Gears of War 3. Inside, the areas for cash, cards and coins are clear, revealing a patterned background of Crimson Omens. It’s a handy way to keep organized, plus it’s easy to wipe clean. The wallet measures 3.75×4″ when closed, the perfect size for slipping into your back pocket. Comes with a bonus Gears of War 3 pin!